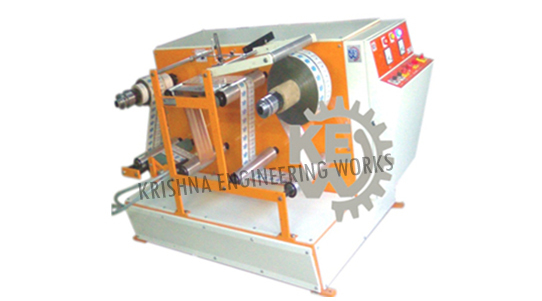 Doctoring Rewinding Machine Manufacturer to make doctoring process for your flexible Packaging Roll with high-quality equipment. Doctoring Rewinding with more than 25 different models to choose from with high-quality performance. Like: Standard Doctoring Rewinding Machine, Table Top, High Speed Doctoring Rewinding, Heavy Duty Doctoring Rewinding Machine with Slitting System, Winding Rewinding With Multihead Inkjet Printer, with Thermal Transfer Overprinter, Label Stock, Special Application for Doctoring Rewinding, Doctoring Film Strip Winding Rewinding, Coil Winding, Inspection Doctoring Slitting, Film Winding Rewinding for Batch Coding, Doctor Re Reeling and many more per client’s requirement and application. Also, Manufacturer of Rotogravure Printing Machine with high speed processing equipment and different type of BOPP Tape Cutting Machine.